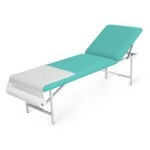 LZM are high-quality and very popular among rehabilitation practices and medical surgeries couches. The headrest is easy to adjust and the structure of the couch is well-thought which makes it suitable for examination, simple massage and rehabilitation. 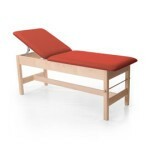 Its durable frame has been powder-coated which allows the couch to last longer. Elegant wooden couches produced by Meden-Inmed which can be found mostly in Medical SPA & Wellness centres and beauty spas. 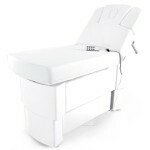 They are also perfect for medical facilities and rehabilitation practices.